Thomas M. Rice was born in Coronado, California on August 15, 1921. During his childhood in 1934, his father was killed in a plane crash in the Panama Canal Zone. A graduate of Coronado High School in 1940, he joined the US Army at Fort Rosecrans near San Diego on November 17 of the same year. 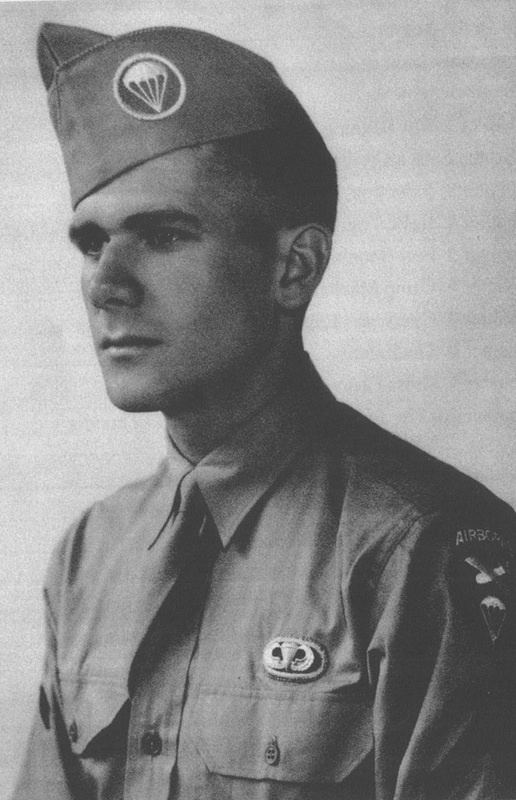 In 1943 he attended Camp Toccoa, Georgia, before being sent to the Air Force Troop School at Fort Benning. 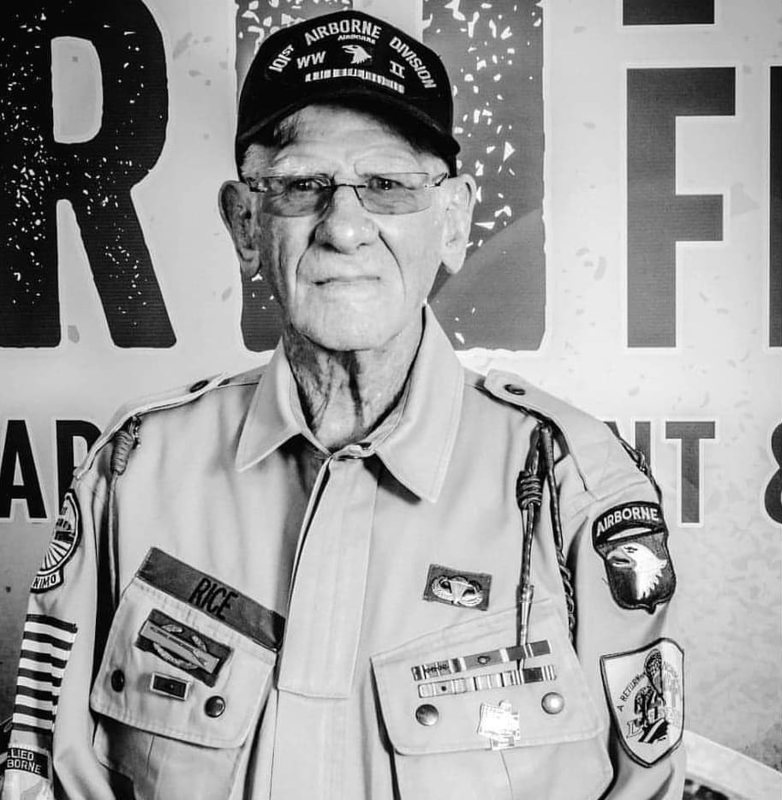 After eighteen months of training, he joined the 501st Parachute Infantry Regiment (PIR) of the 101st Airborne Division. While serving with the new airborne infantry, Rice commanded a 12 paratrooper combat group and served as platoon sergeant for six months. Deployed in 1944 in England with the entire company C 501st PIR, he prepares for the operation Overlord, the assault of Normandy. He belongs to a support group mainly armed with mortars. On June 5, 1944, at Merryfield airfield, he embarked aboard a Douglas C-47 belonging to the fourteenth drop serial. The mission of his division is called “Albany“: it aims to secure several roads crossing the Cotentin marshes. Taken under the fire of the German anti-aircraft artillery, the “Flak”, the C-47 carrying the 18 paratroopers led by Lieutenant Janssen accelerates to escape the shells. As the aircraft flies over the drop zone named “D”, a shell hits the cabin and several soldiers are sounded for a few seconds. Precious time that turns into as many kilometers away from their goal. While he manages to cross the door, Thomas Rice finally hangs on the C-47 for new seconds that seem interminable. Finally, he manages to disengage and his parachute opens 100 meters from the ground. The entire “stick” is scattered in the vicinity, particularly because of the particularly high speed of the aircraft (around 164 miles per hour, while the prescribed speed of parachute drop is around 110 miles per hour): one of the paratroopers, Marvin Buskirk, is found at sea, more than a hundred meters from the shore, in the bay of Veys. He nevertheless manages to get out of his equipment and swim to the mainland. After a hectic landing, Tom regains his senses, controls his Thompson submachine gun and observes the surroundings. He realizes that he is near a canal (that of Carentan to the sea) and found at first two of his comrades, Tony Das and Franck Ficarotta. Other paratroopers, isolated, join them gradually. The area is particularly marshy, and men struggle not to sink into the sodden soil. Lost, they must now find a characteristic point of the ground which must then allow them to orient themselves. Meanwhile, anti-aircraft artillery fire was still heard, piercing the sky with long, luminous trails. Progressing randomly from the darkness to the southeast, the group of a dozen parachutists finally reaches an isolated farm. A resident opens them, worried and still wearing his nightdress: he does not speak English. Through gestures and intonations of voice, he shows them their position on a map presented by the Americans, allowing the paratroopers to orient themselves for the continuation of their mission. They are located about two kilometers north of the Barquette lock, their main objective. The paratroopers leave the farm immediately after thanking the owner couple, completely frightened by the appearance of over-equipped men, soaked to the bone and face covered with black soot. Knowing their location, the military imagine they have done the hardest by defeating the first opponent of the day: topography. However, they do not know it yet: Lieutenant-Colonel Caroll (commander of the 1st battalion of the 501st PIR) is killed, his deputy Major Phillip Gage is wounded and taken prisoner, and company officers can not be found. Continuing their march, Tom Rice and his brothers-in-arms discover on the way a horse injured in the head by a shrapnel. Many of them lived in the country and were accustomed to treating the horses: a medic took the time to heal the bleeding wound, setting up a rough bandage. Without waiting more, the group of men started again to reach a few minutes later the hamlet of La Basse-Addeville. The areas of La Basse-Addeville and the Canal de Carentan in which Tom Rice and his comrades began their fight for the liberation of Europe. The day was starting to rise, and visibility was increasing every minute. In the vicinity of the hamlet, Tom Rice meets a lieutenant belonging to the 326th Airborne Engineer Battalion. He and his men were pinned down by a German sniper they can not locate. The lieutenant ordered the group of the 501st PIR to be used as bait by moving in to incite the enemy to open fire, thus allowing to spot the sniper. Surprised by this tactic that cares little about their lives, paratroopers crossed a field but without obtaining the desired effect. The men then gather near a slope in the immediate vicinity of the first houses. The paratroopers carrying only a limited quantity of ammunition, which would be consumed within a few minutes only if sustained contact with the enemy, it was urgent to find more cartridges. For First Sergeant Marshall Buckridge, this replenishment was essential before throwing theirself into the mouth of the wolf: Franck Ficarotta volunteers to return to the jump zone to recover small ammunition, but he is killed by a shot in the head by the sniper, even before he could leave his position. The Americans are finally placed under the command of Major Allen. Despite the presence of the German shooter, the group accompanying Tom continued to walk discreetly along the small road through Basse-Addeville, progressing from house to house and digging every construction in search of the enemy. He is targeted in the village and slightly injured in the leg by the glare of a bullet that misses him. In spite of this confused situation, the Major Allen of the 501st PIR regroups the paratroopers of different units which wander in the sector and manages to gather a hundred of them: the paratroopers continue their progression in the direction of the lock of the Barquette while continuing to search for extra ammunition and weapons on the drop zone. Map of the fighting area of Tom Rice June 6, 1944. Thomas M. Rice and his comrades crossed the junction between Basse-Addeville and the lock, soon called “Hell’s corner”. 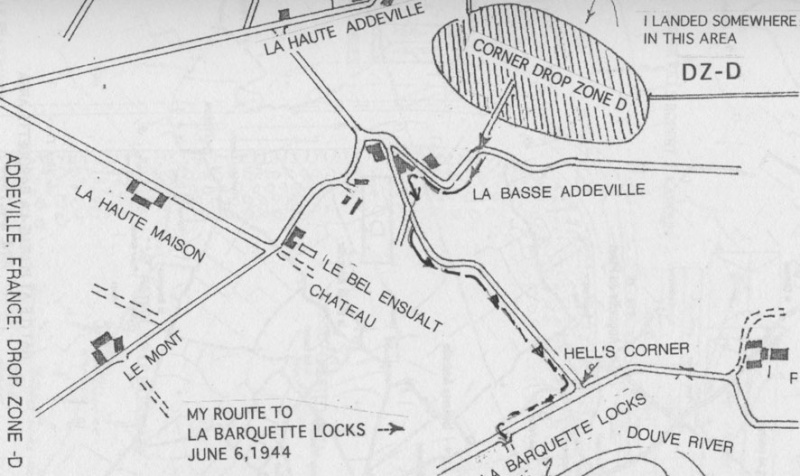 The assault elements crossed the lock and settled on the other side of the canal, easily capturing La Barquette and quickly digging shelters to protect themselves from enemy fire. Throughout the day of June 6, US paratroopers holding the lock were targeted by heavy artillery and mortar fire from both the eastern region of Carentan and Saint-Côme-du-Mont. 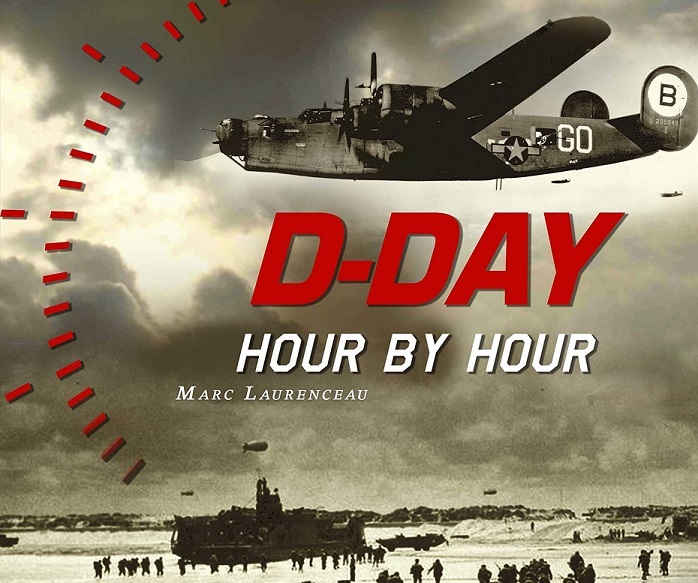 At 8 pm on D-Day, the position of La Barquette was held by 280 paratroopers. Thomas “Tom” Rice at the Utah Beach Museum in Normandy, 2018. After the battle the lock, Tom Rice participated in the fighting to widen the bridgehead towards Saint-Côme-du-Mont and Carentan from June 7 to 8, 1944. 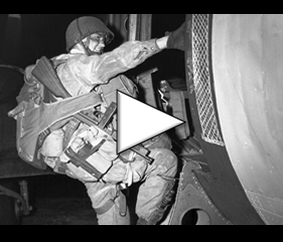 Once the battle of Normandy ended for the 101st Airborne Division his company was disengaged and then transported to Britain to prepare the Market-Garden operation. On September 17, 1944, he was dropped over Holland then participated in the fighting in the Ardennes from December 1944 to January 1945. Seriously wounded by bullets in the area of ​​Bastogne, he was evacuated from the front but remained in Europe to be treated before joining back his unit. He participated in the fighting at Hitler’s Eagle’s Nest in Berchtesgaden, Germany. After his honorable discharge on December 21, 1945, Tom then resumed his studies at the San Diego State University. He taught social sciences and history for nearly 44 years in California. Father of five children, he wrote his memoirs, published in 2004 under the title “Trial by Combat: A Paratrooper of the 101st Airborne Remembers Division the 1944 Battle of Normandy”. Today, he still lives in the 600-square-foot house that his father built. Regular participant in the commemorations of the landing and the Battle of Normandy, he continues to skydive as in Montpellier, France, in June 2018. He plans to jump to Carentan on the occasion of the 75th anniversary of D-Day on June 5, 2019.